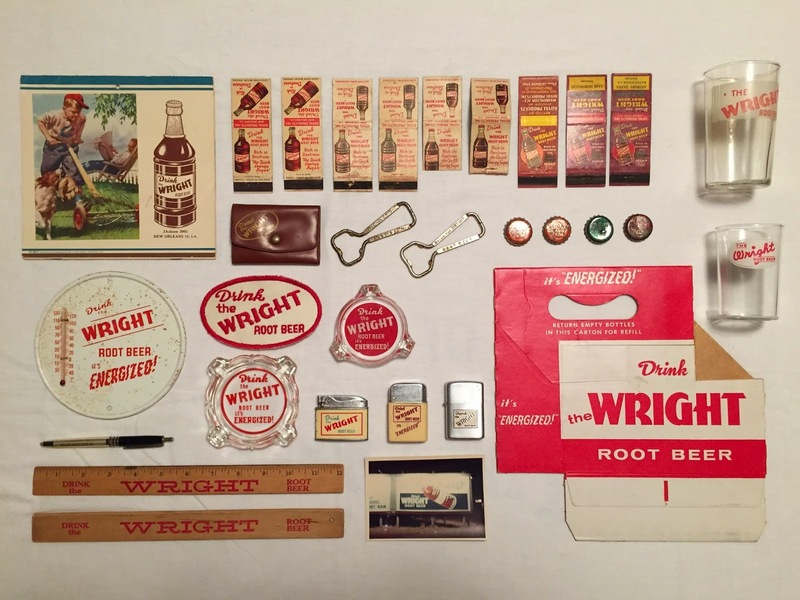 I recently got an email from Alan Wright asking me about Wright Root Beer. Prior to this email I had not heard of it. There is not a lot of information on the internet about it. I asked my friend in Iowa, Vince Payne about it and he had a couple bottles. He sent me the below picture. Thanks Alan for sharing what you have found. Now I will keep a sharper eye open and see what I can find. Wright Root Beer comes from the Louisiana area.